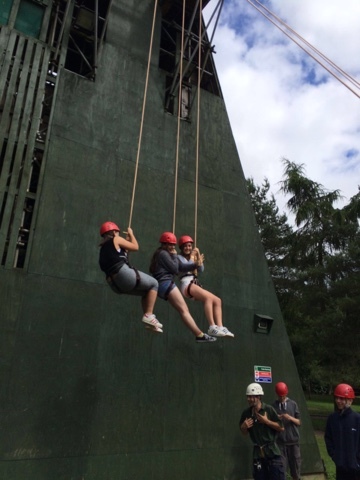 Today has been a very exciting day! 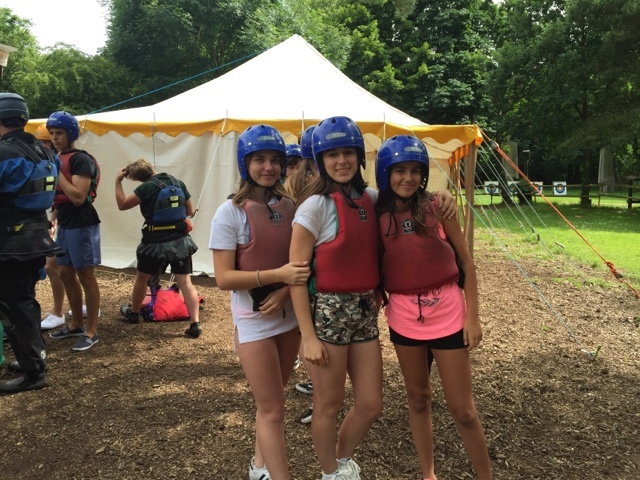 After our morning lessons, we have had our lunch and taken a bus to Eaton Vale. 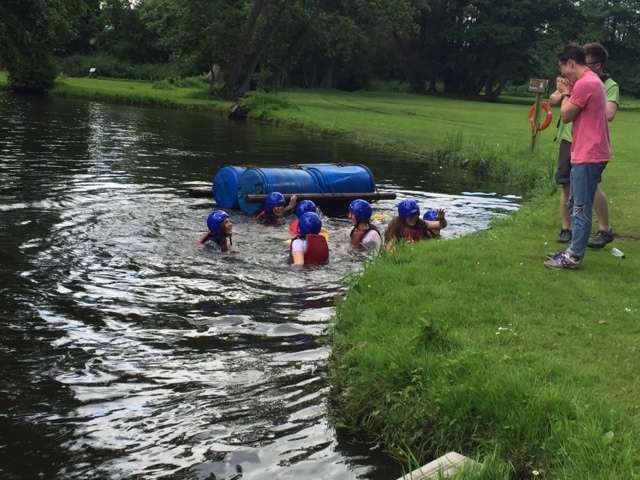 The students had been told to bring spare clothes because some of the activities were in the water. 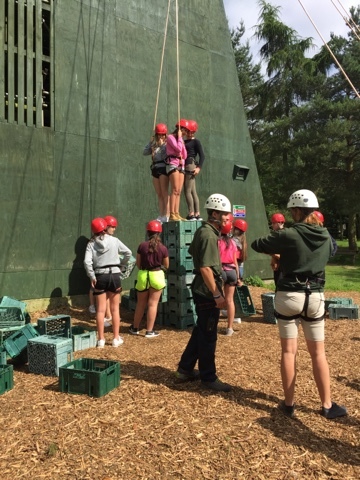 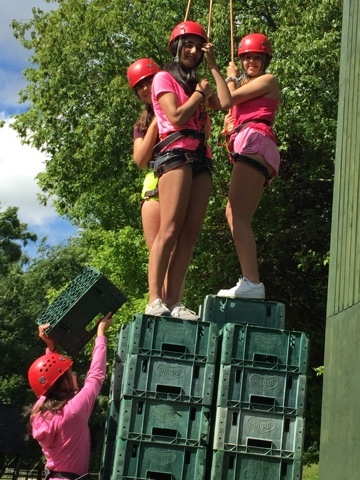 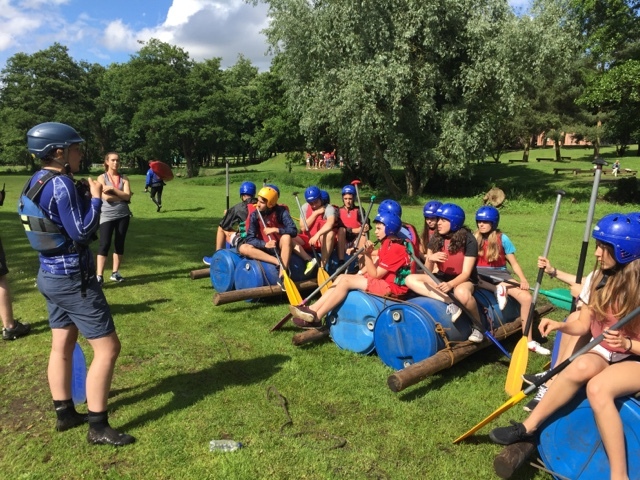 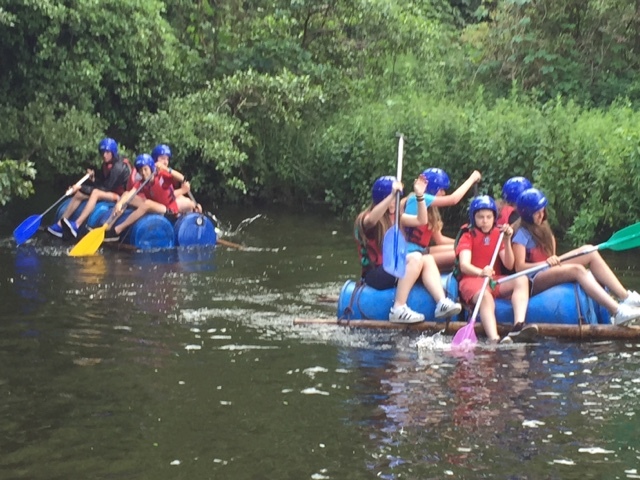 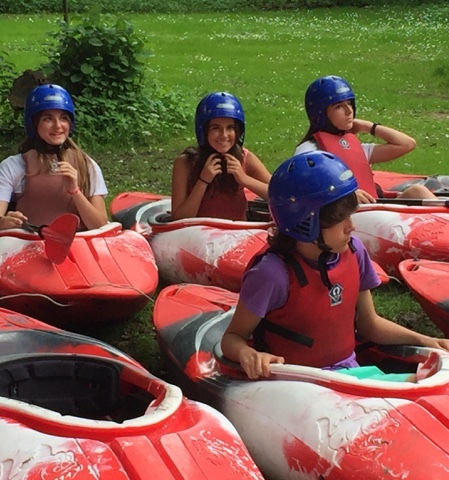 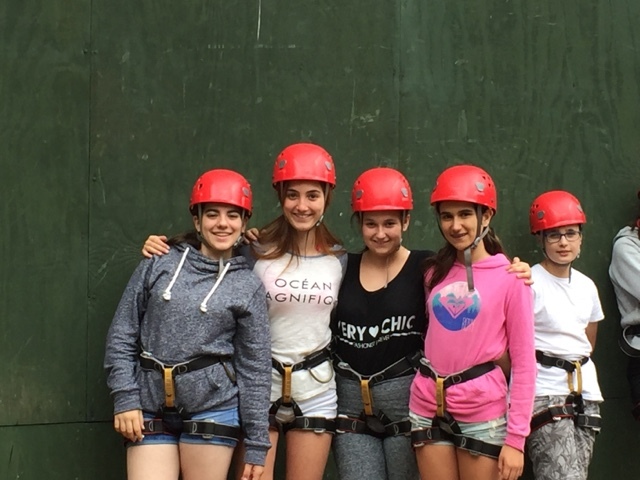 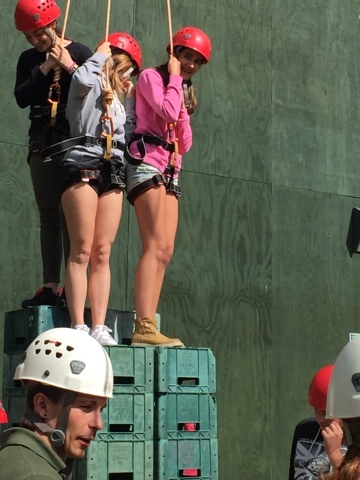 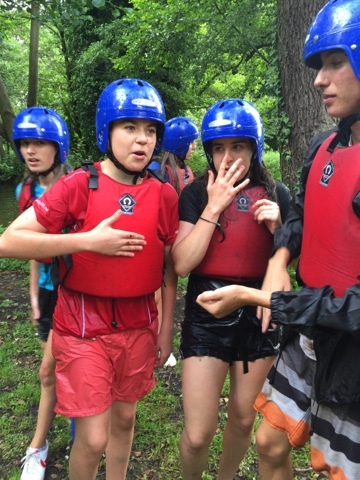 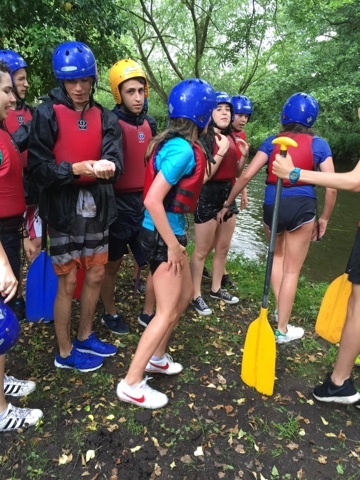 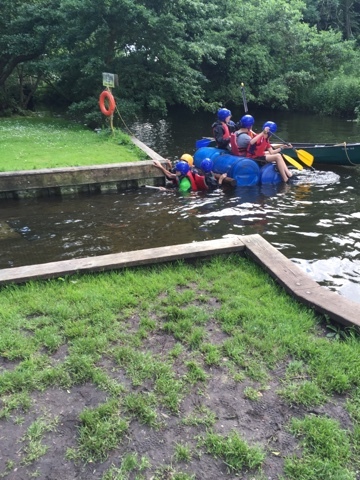 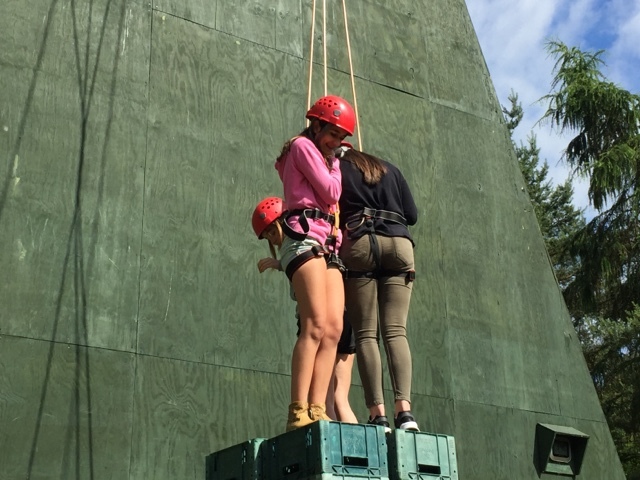 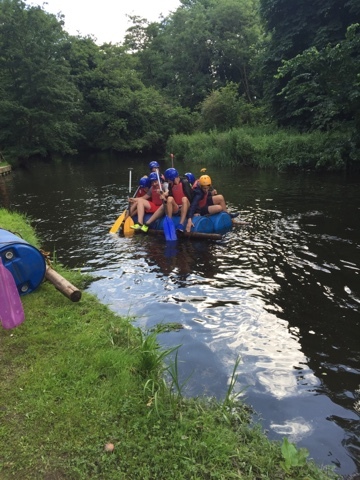 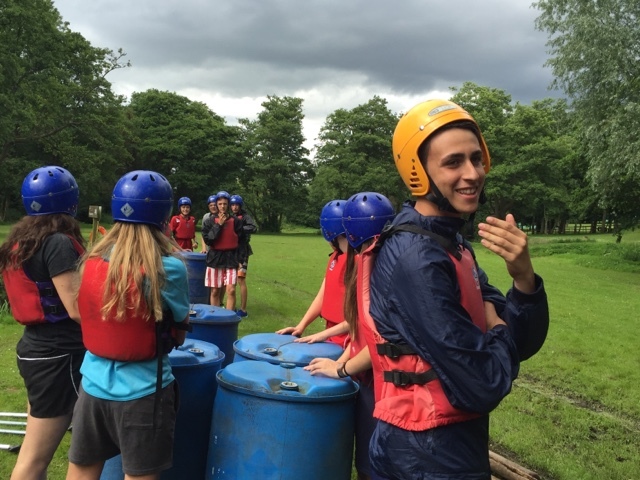 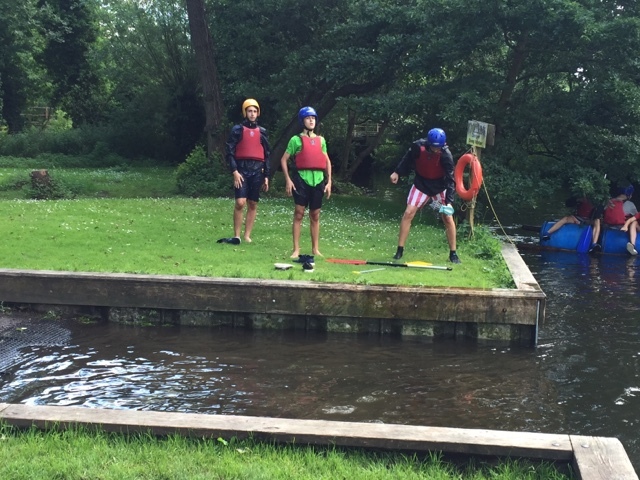 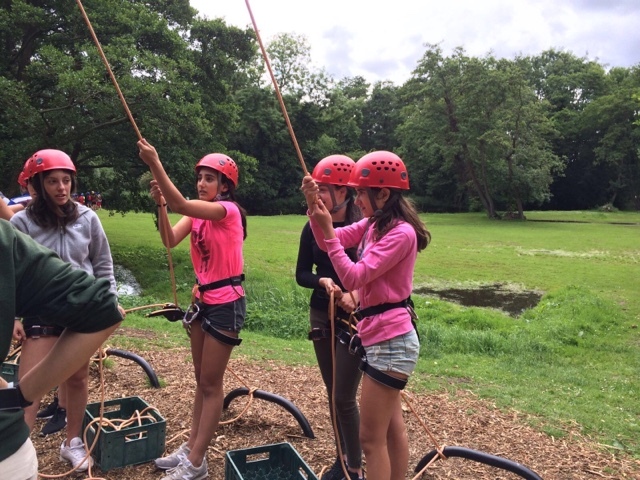 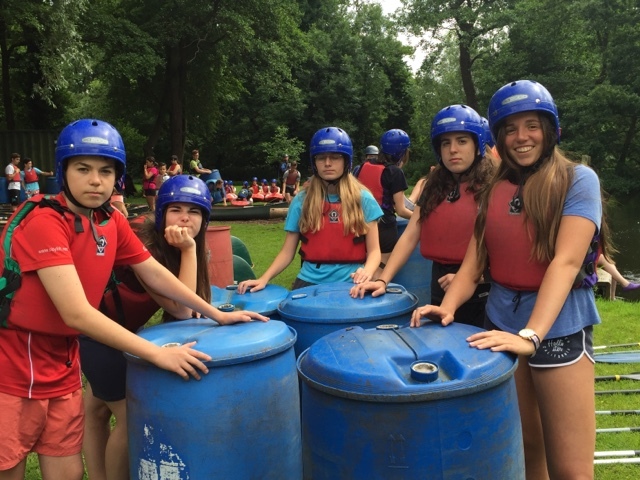 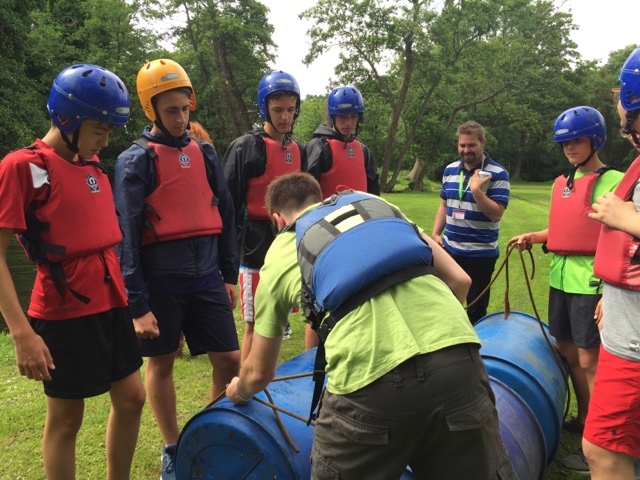 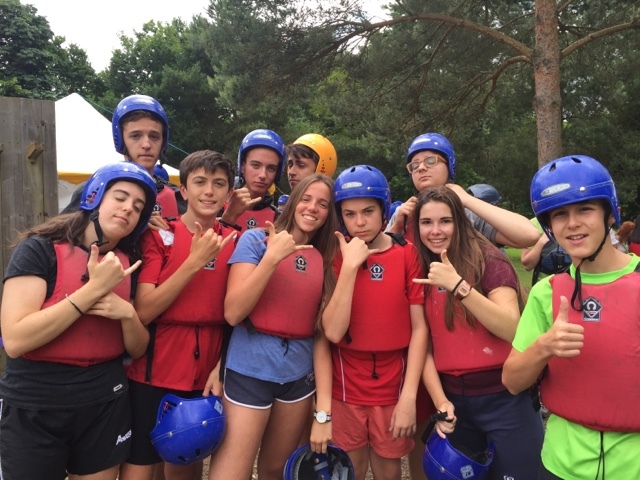 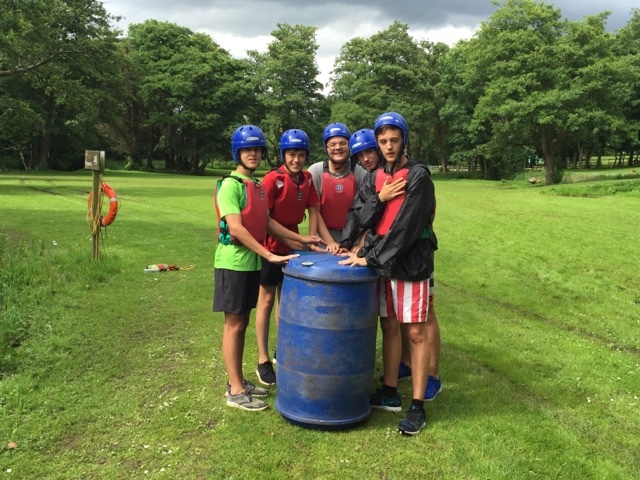 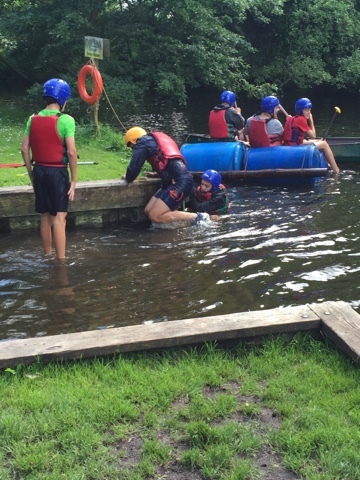 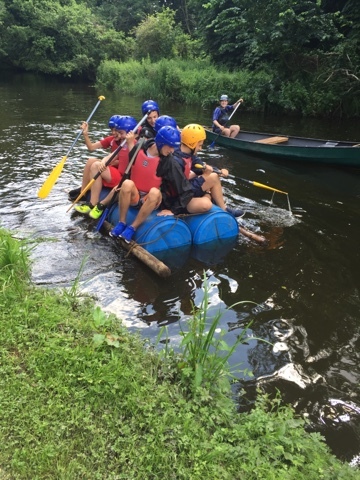 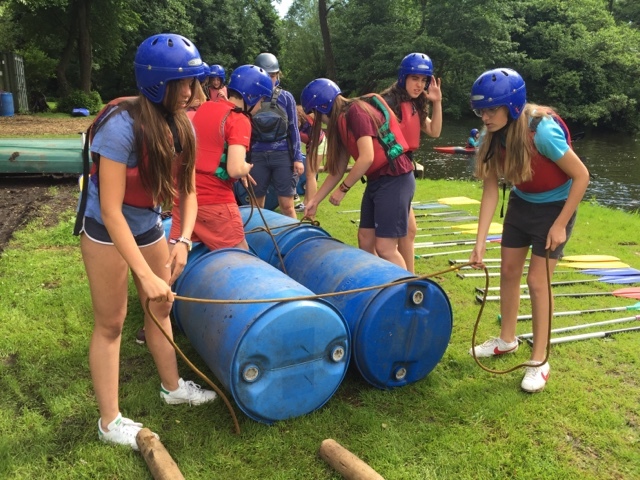 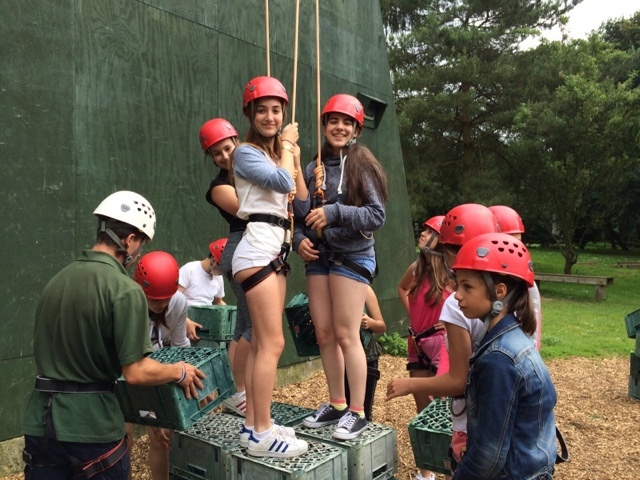 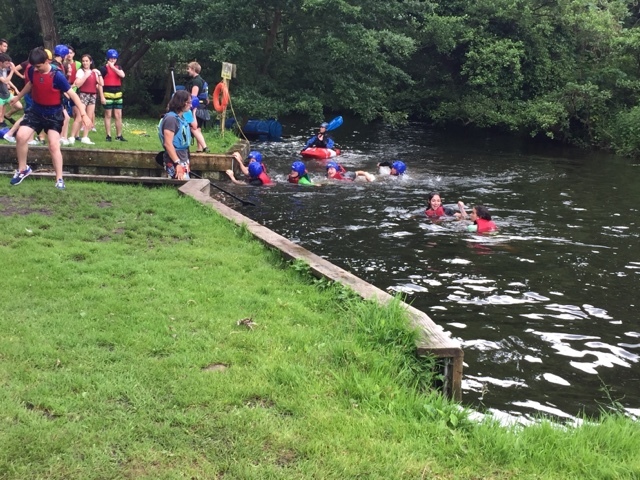 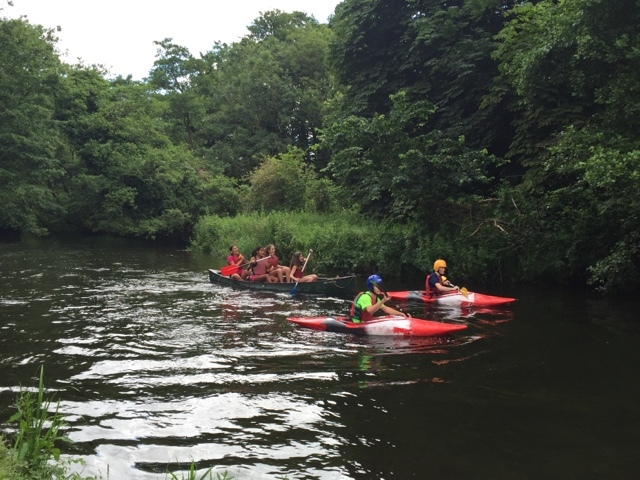 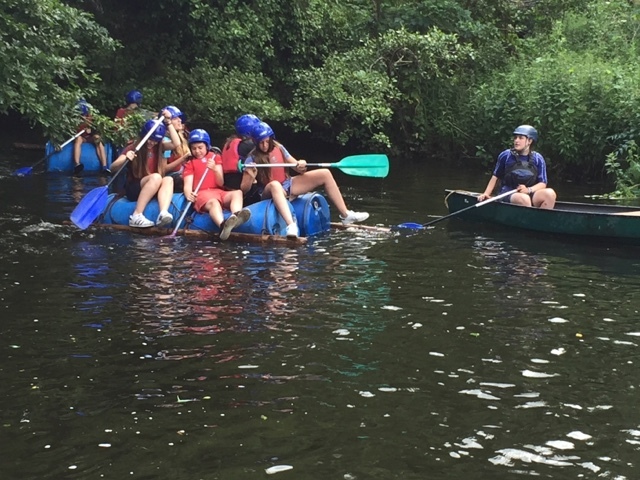 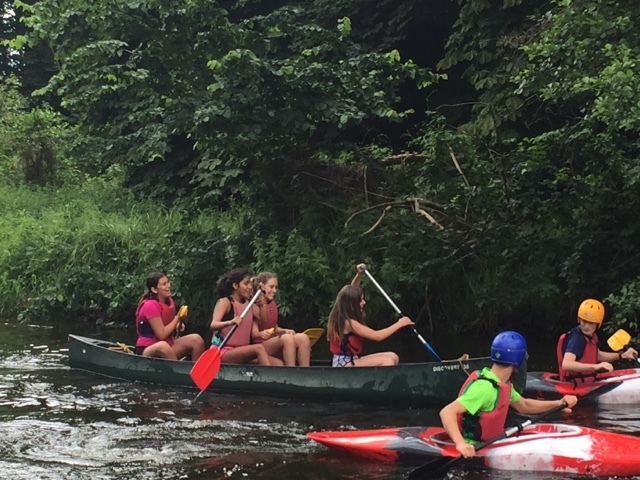 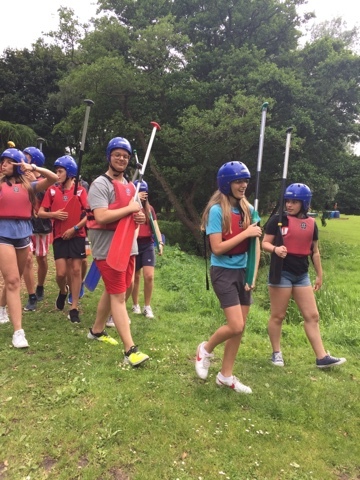 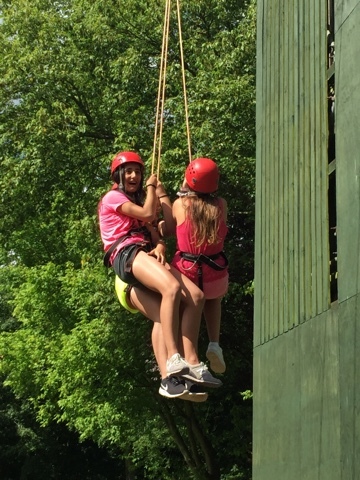 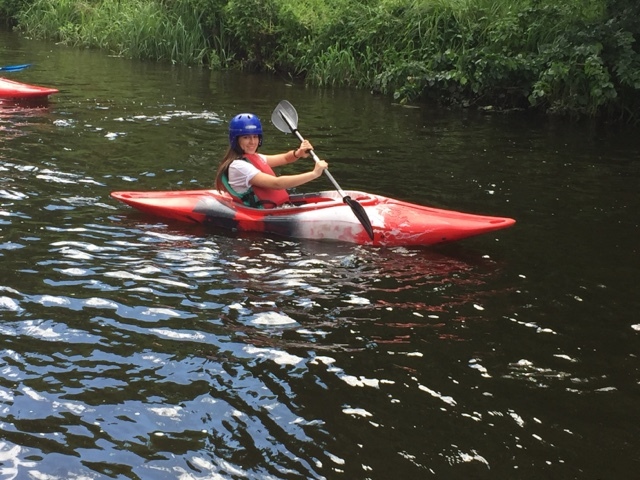 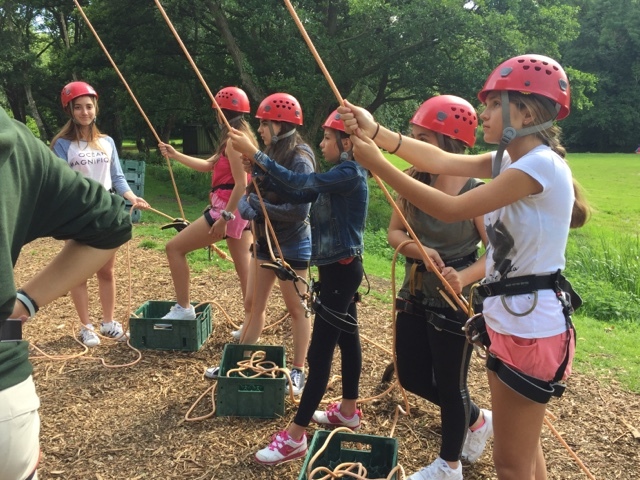 Once they have changed, the students have been divided into four groups: canoeing, raft-building, kayaking and crate-stacking. 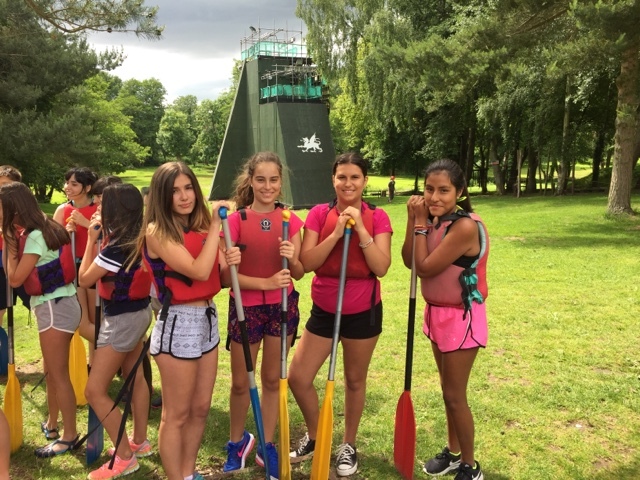 Let's have a look at the canoeing group. 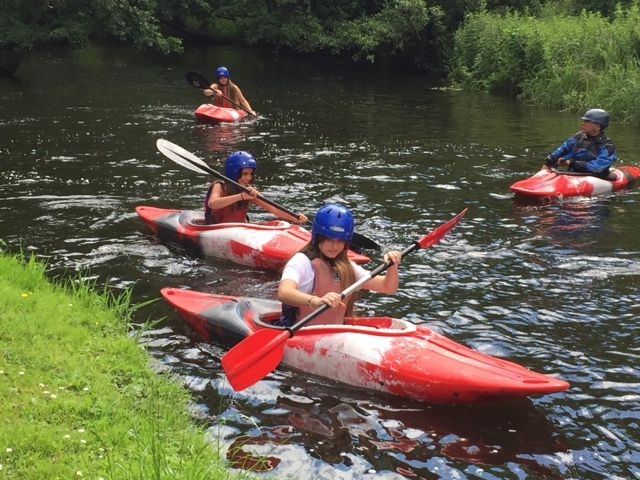 And now, the group of kayaking. 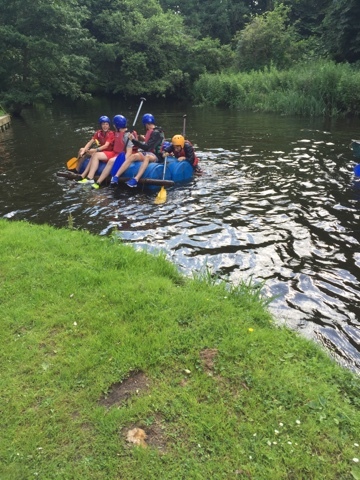 But some rafts were not perfect! 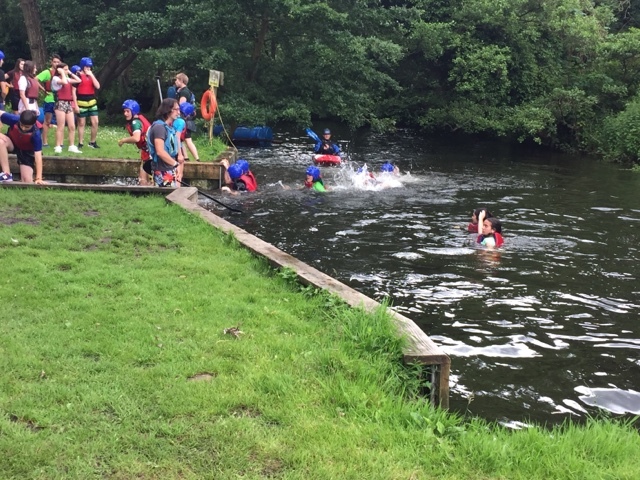 And finally, the students who wamted have jumped into the water!